The information that you volunteer to pass on to Long Term Rentals Barbados is collected only to ensure your travel arrangements run smoothly. It is standard and normal procedure when booking a holiday, to provide a name, address contact telephone numbers, e-mail or credit card details, whether on-line or over the telephone. Long Term Rentals Barbados will hold this information to update you in the future, or monitor the effectiveness of our web-site and advertising. This helps us to ensure we are understanding our customers and what their needs. 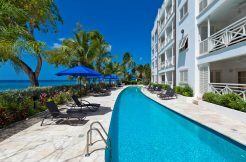 By providing Long Term Rentals Barbados with your personal information either via the web-site or over the telephone you have granted consent for Long Term Rentals Barbados to store and utilise the information as outlined above.